The first of the SpaceX Dragon resupply missions is scheduled for launch today, 7 October, at 5:35 PM Phoenix time (8:35 PM EDT and 00:35 UTC). You can view the SpaceX webcast here (coverage starts at 4:55 PM Ohoenix time), watch it on NASA TV. 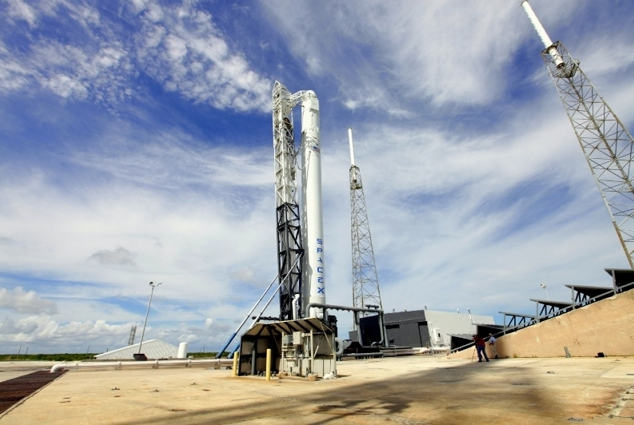 The SpaceX / NASA prelaunch press conference is at 3:00 PM Phoenix time on NASA TV. Weather outlook is for 40% chance of unfavorable weather, mostly a thick cloud violation, with some chance of flight through precipitation. 225 pounds of space station hardware, including crew health care system components, life support system parts, filters and electrical components. 7 pounds of computer gear. 163 pounds of crew supplies. 518 pounds of vehicle hardware. 123 pounds of computer gear, Russian cargo and spacewalk equipment. You can download the SpaceX press kit (pdf). 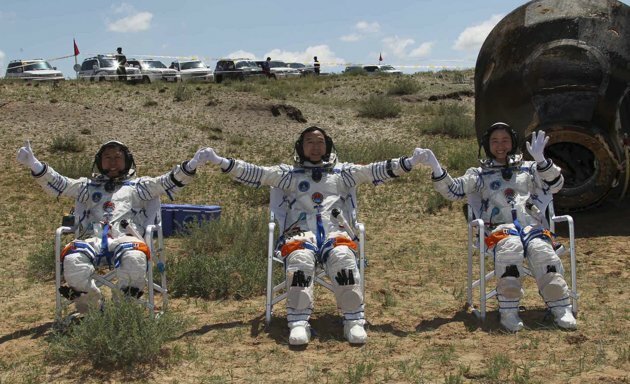 Jing Haipeng, Liu Wang and Liu Yang, the three member crew of China’s Shenzhou-9 spacecraft, returned to Earth, following a successful and historic mission with the unmanned space module Tiangong-1. The Descent Module touched down around 7:00 PM Phoenix time Thursday (0200 UTC Friday) at the landing site in Inner Mongolia. Chinese taikonauts completed another objective of their current mission aboard their spacecraft, Shenzhou-9, when they completed a manual docking maneuver with the orbital module Tiangong-1 around 0450 UTC Sunday (9:50 PM Saturday night Phoenix time). Several hours prior to this, the crew set Tiangong-1 for independent flight in case an emergency was encountered. 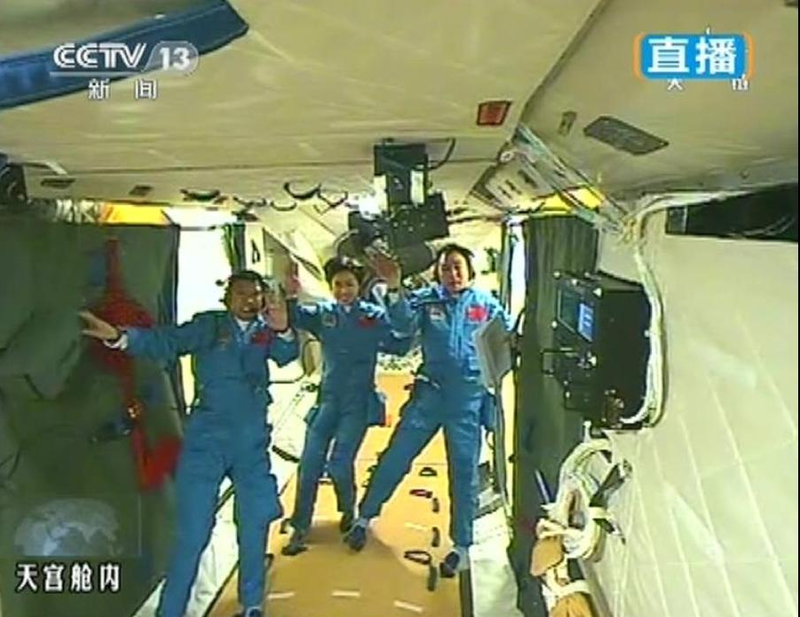 Then commander Jing Haipeng and the other two crew, Liu Wang and Liu Yang, entered the Shenzhou-9 spacecraft, donned their flight suits and performed an automated undocking. This was followed by backing away to 400 meters. The crew then closed to 140 meters and the two vehicles maintained their positions while the ground control evaluated the data. Approval was given for the manual approach controlled by Liu Wang. 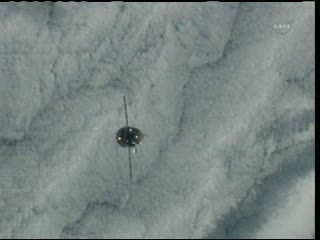 The spacecraft approached to within 30 meters for a short hold. 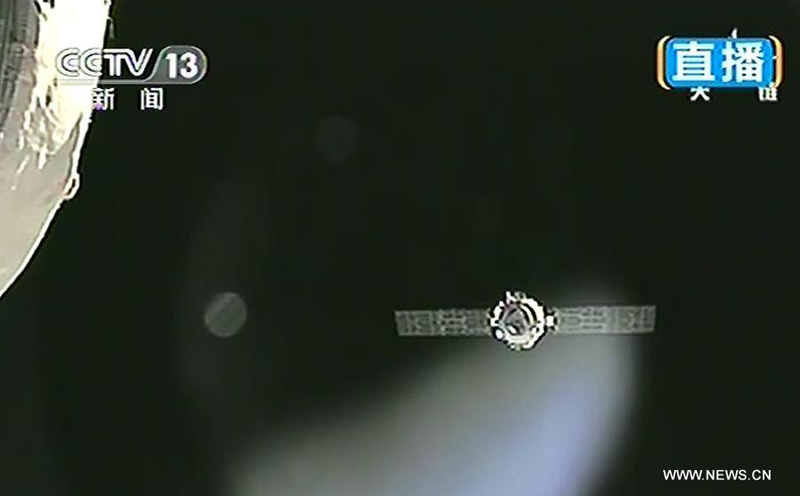 Finally closing at 0.4 meters per second, Shenzhou-9 completed the docking procedure. With this objective completed, the taikonauts will continue their testing of the orbital module, and medical and physiological tests and exercises. They are scheduled to return to Earth on Friday, 29 June. 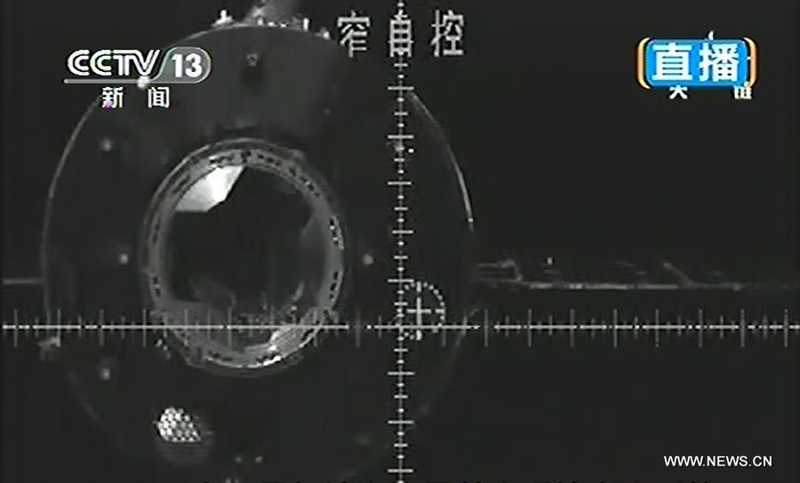 Three hours after automatically docking with the Tiangong-1 space orbiter, Jing Haipeng opened the hatch between the Shenzhou space craft and the orbiter and floated aboard. 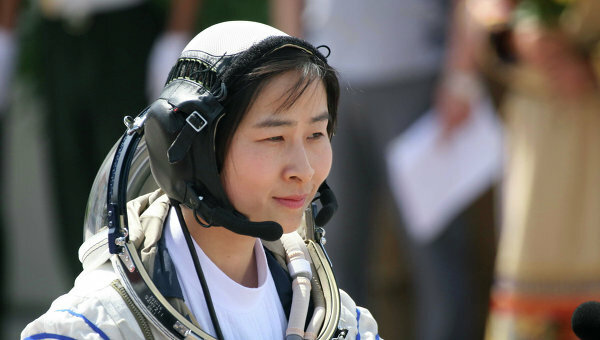 The mission commander was followed by Liu Wang and Liu Yang. The Tiangong-1 has been in orbit for 262 days following its launch on 29 September 2011. 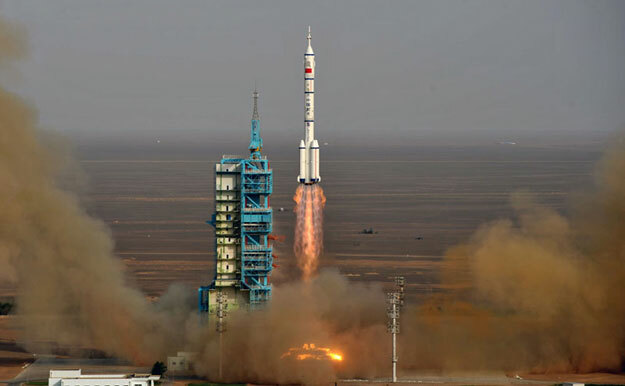 It was previously visited by the Shenzhou-8 unmanned mission, which was launched on 31 October 2011, docked on 3 November and returned on 19 November. Tiangong-1 is a test bed for a future space station scheduled for 2020. The module weighs 8.5 metric tons (19,000 pounds) with an interior of 15 cubic meters (540 cubic feet). The module is 3.35 meters in diameter, and 10.4 meters in length. The crew is scheduled to conduct medical experiments, and to perform a manual docking on 24 June. 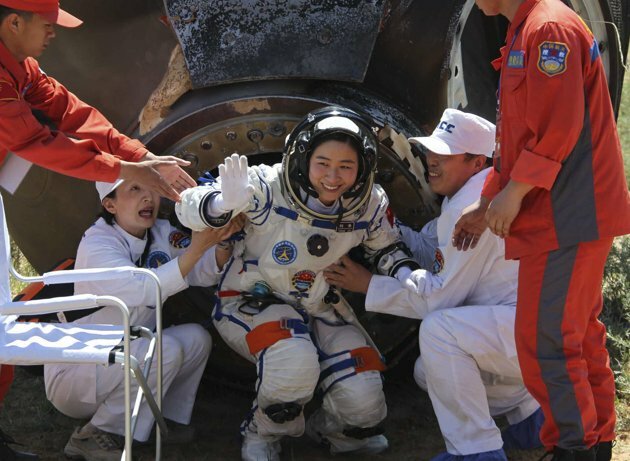 Liu Yang, China’s first female taikonaut, was launched aboard the Shenzhou-9 spacecraft on top of a Long March 2F rocket. Jing Haipeng, a veteran of two other spaceflights, will command the mission, and Liu Wang the third member of the crew is making his inaugural flight. Liftoff from the Jiuquan Satellite Launch Center on Saturday in the Gobi Desert occurred Saturday morning at 3:37 Phoenix time (10:37 UTC). The planned rendezvous with the Tiangong-1 mini-spacelab, which is already in orbit, is scheduled for 18 June. The crew will conduct one automated docking and then a manual docking. Once the docking is complete, two of the crew will work in the space station, while the third member remains on the Shenzhou-9 space craft to handle any emergency that might arise. The expectation is that the mission will last around 20 days, after which the craft will undock and return to Earth. The spacecraft is docked and unloading vital supplies. 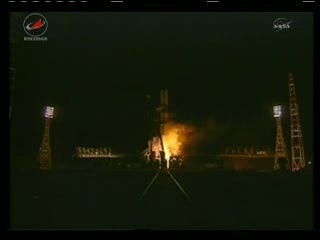 The Progress M-14M launched successfully at 4:06 PM Phoenix time (23:06 UTC) from the Baikonur facility in Kazakhstan. All three stages function normally. Concern centered around the third stage, which failed during the launch of M-12M in August. The spacecraft is scheduled to dock on Friday at 5:08 PM Phoenix time (Saturday 00:08 UTC). NASA-TV will cover the docking to the Piers module beginning at 4:30 PM Phoenix time (23:30 UTC).